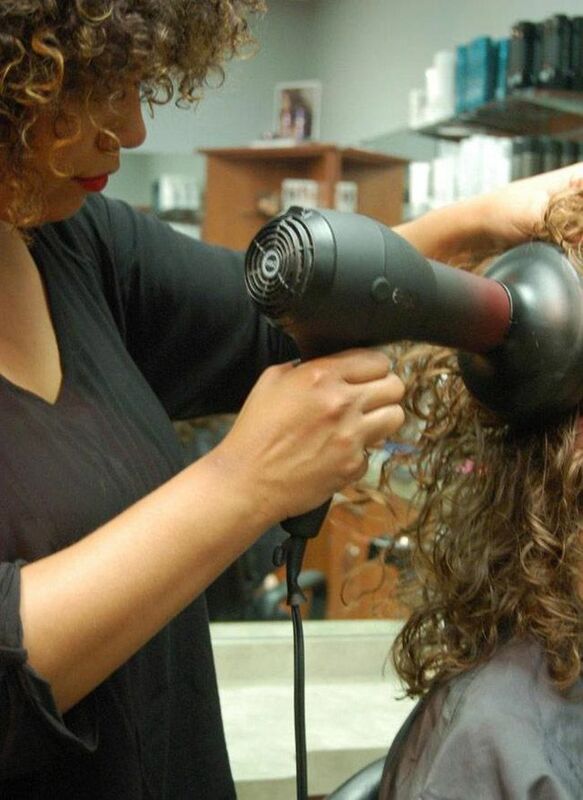 As a stylist with curly hair, I tend to get asked a lot of questions from my curly clients. Everything from the typical “what do I put in my hair to make it less frizzy” to “I want something different, but just don’t know how to explain it”. I wanted to sare 5 simple ways I think I can help you to improve your next experience when you head into the salon. 1. Pictures, pictures, and more pictures! Stylists are visual, so imagery helps sometimes more than words or descriptions. Bring in photos of what you love, but also what you don't like. Having the frame of reference really helps. Apps like Pinterest and Bangstyle let you save images to your phones, but old fashion magazine clippings work too. 2. Come in with your hair done how you wear it. I know, who wants to wash, dry, and style your hair before getting it done?! But, it will really help your stylist have a better idea on how you feel comfortable styling your curls. 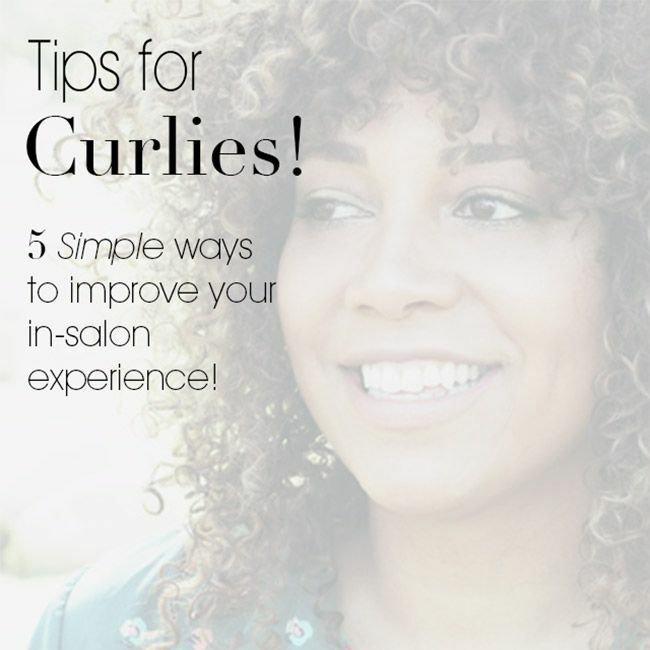 It will tell us how much time and effort you want to dedicate to styling….to your curl pattern once it’s dry. 3. Go through the basics with your stylist. Before a cut, color, or any service, tell us a bit about your daily routine. Do you diffuse, air dry, comb w/ conditioner…do you use styling products? All of this will help us give you the perfect cut for you! 4. Work out realistically how often you will be in salon each year. Curly girls tend to come in less often - more like once a quarter, as opposed to every 6-8 weeks. Ask your stylists for maintenance tips and keep in contact with them. If they are comfortable with it, text them (or leave a message at the salon) when you make changes in your daily routine, like products. Ask for their recommendation, they are your “Hair Doctor”! 5. Yes, you can style curly hair! Book an appointment just to learn a few new ways to style your hair. From dirty to clean....there are so many ways you can style your hair. Curly hair doesn't have to look the same every day. I promise. Hope these help. Remember…curls are fantastic, unique, fun, and beautiful. I hope you’ll love your curls too! This post was written by Reiynne Dekora for Bangstyle.